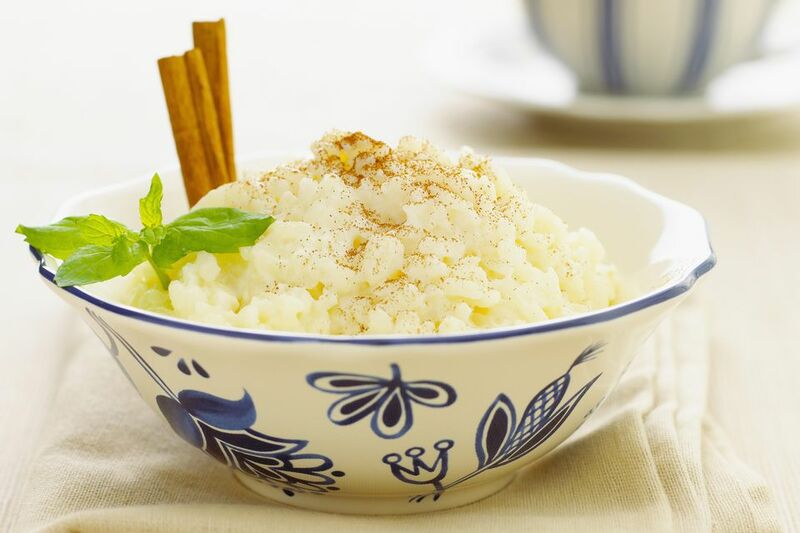 This rice pudding is an old-fashioned mixture of rice, sugar, and milk, and it is made without eggs. Just remember to stir it frequently. You can add spices to the pudding, or add some raisins or dried cranberries. In a 1 1/2 quart baking dish, combine all ingredients. Bake for 2 1/2 hours, stirring every 20 minutes. This will give the pudding a creamy texture. If desired, sprinkle servings with ground cinnamon or a cinnamon-sugar blend. To scald milk, pour it into a heavy pan and place the pan over medium heat. Heat the milk, stirring frequently. Scrape the bottom of the pan often to ensure it is not scorching or sticking. When it begins to steam and small bubbles form around the edge, remove it from heat. If you use a thermometer, look for a temperature of around 182 F (83 C). Add about 1/2 cup of granulated sugar for a sweeter pudding. Add 1/2 teaspoon of cinnamon and a dash of nutmeg for a lightly spiced rice pudding. Add 1/2 cup of raisins or dried cranberries to the rice mixture and add a pinch each of cinnamon and nutmeg. Replace the granulated sugar with packed light brown sugar. Add 1/4 cup of chopped dried apricots, 1/4 cup of raisins, and a pinch each of cinnamon and nutmeg.